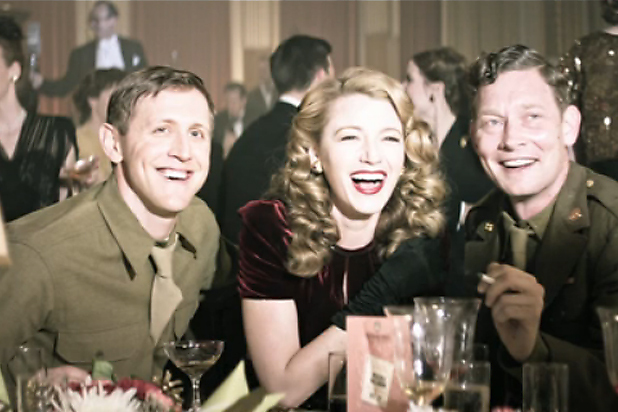 The Age of Adaline is a romantic fantasy film directed by Lee Toland Krieger that features the stunning Blake Lively in the role of Adaline Bowman. 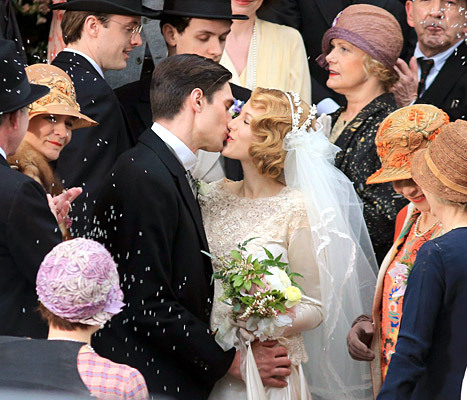 Ever since I saw the first trailer I was excited by the unique storyline of this film, as well as the adorable relationship between Adaline and Ellis Jones, played by the handsome Game of Thrones star Michiel Huisman. I was also intrigued to see how the film would unfold as Adaline learns how to distance herself from those she loves in order to survive. 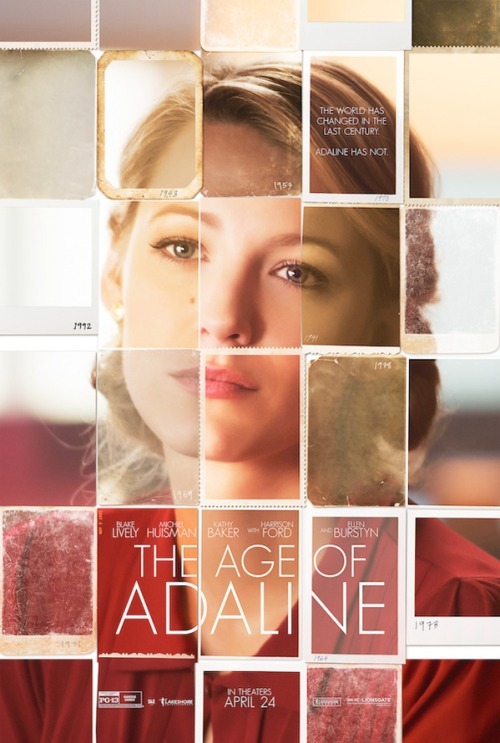 The film opens upon Adaline as she enters a small San Francisco apartment where she purchases a couple of fake IDs before heading to her job in the Office of Archives at the Downtown Library. Upon her arrival Adaline’s supervisor hands her a box of old film reels that he knows would be of interest to her. Adaline takes the box to the basement, locks the doors, plays the reel from 1908 and then a narrator begins to tell the story of her life. Adaline was born on New Year’s Day in 1908, she married an engineer in her early 20s, gave birth to a daughter named Flemming, and then soon after was widowed as her husband was killed in a tragic accident. Then at age 29, on the drive up to her parents’ house she was caught in a terrible car accident/lightning strike that resulted in her not being able to age another day. A decade or so later, Adaline was pulled over for a speeding violation, and she was questioned because her appearance did not match her ID, which stated was in her late 40s. For the next decade, Adaline continuously moved locations in order to protect her secret, but she soon realized that a life on the run was not fair to her daughter and the two have departed after an emotional goodbye. Back in the present, Adaline dresses up for a New Year’s Eve party at a hotel she had previously attend on New Year’s in the 40s. At the party Adaline runs into an intelligent gentleman named Ellis Jones, who is clearly interested in her but due to her reserved nature she won’t give him a chance. The next day she shows up to the library to find out that a benefactor has generously donated several books. Ellis, the mysterious benefactor, appears from around the corner with an adorable smile, a handful of books with flowers in the titles, and a ‘I won’t take no for an answer’ attitude. After years of remaining closed off emotionally from the world around her, Adaline slowly begins to let go and let love in. As a result, Ellis invites her to his parents’ 40th anniversary party … she says yes! However, the moment Ellis’s father William, the iconic Harrison Ford, sets eyes on Adaline he recognizes her instantly from his youth as the gorgeous woman he let get away. Adaline is clearly flustered by William’s emotional questioning, but she tries to control the situation by explaining that he must be referring to her mother. 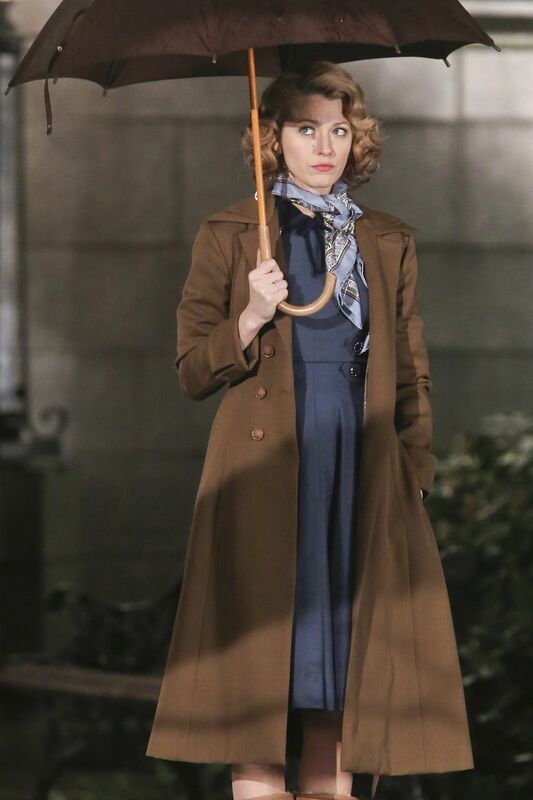 In the beginning flashbacks, I loved that we got to see Adaline’s daughter Flemming age normally while Adaline’s appearance remained the same. The fact that Adaline bought the same type of dog throughout her lifetime and also kept a book of each dog’s photo was precious but also broke my heart. The man that played Harrison Ford’s younger self was casted perfectly! He looked and sounded exactly like him. I still cannot believe that there was no CGI involved. 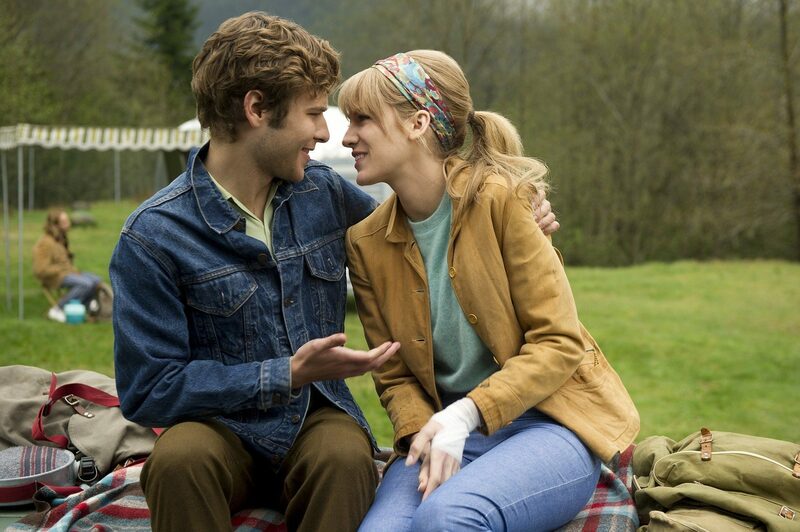 Lastly, I think Adaline and Ellis are perfect together because she has so much to give once allows herself to open up. Also, he is an old soul, which allows her to remember and reflect upon the moments of her past. Angus Strathie, who won an Academy Award in 2002 for his work on the costume design of Moulin Rouge!, created absolutely magnificent pieces for The Age Of Adaline. Check out the link below for a gallery of photos of Adaline throughout the film with descriptions of the stunning pieces she is wearing. Also, if you loved Adaline’s hair and make-up looks as much as I did, check out the second link below for a full article analyzing each style. Aside from the two articles, I’ve also added a ton of photos of some of my favourite outfits from the film (see below). Bonus: Check out the video below for an interview of Blake Lively, Michiel Huisman, & Lee Tolan Krieger being asked excellent questions by one of my favourite fan-girl style interviewers!